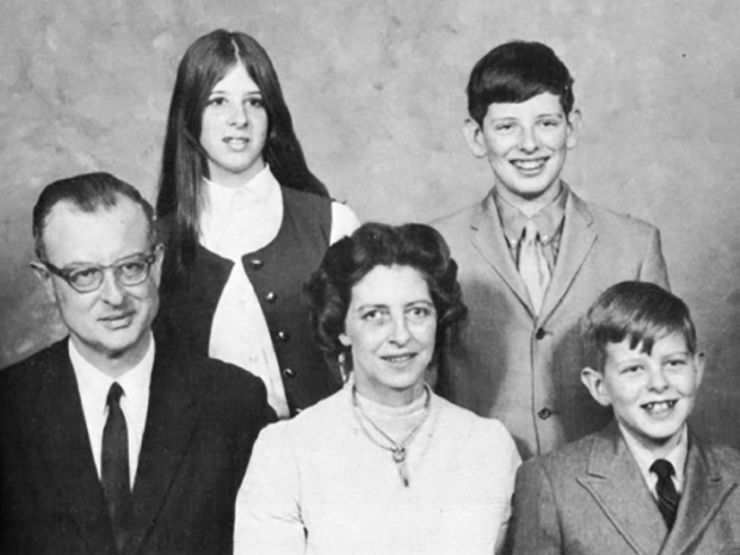 The List family in 1971 (from left to right): John (46), Patricia (16), Helen (46), John Jr. (15), and Frederick (13). John List was a devoutly religious man, and provided for his family in the town of Westfield, New Jersey—where they lived in a 19-room mansion called Breeze Knoll. However, all that changed when he lost his job. As bills piled up and he sank further into debt, List lost his grip on reality. He became convinced that his family had been leading unholy lives and believed it was time to ensure their place in Heaven. On November 9, 1971, List methodically murdered his wife Helen, his mother Alma, and their three children—Patricia, 16; Frederick, 13; and John Jr., 15. He placed the bodies of his wife and children in sleeping bags and arranged them on the mansion’s ballroom floor; the body of his mother remained in her attic apartment. After the killings were complete, List closed the door to his home and fled Westfield for good. List was meticulous in planning out the execution; he cancelled services like mail and milk delivery, and alerted school and work to the extended absences of his family members—they were visiting Helen’s mother in North Carolina, he claimed. As a result, the murders were not discovered until December 7—almost a month after the bloodbath occurred. But by that time, John List had moved across the country to Denver, Colorado and assumed a new identity. It would be 18 years before he was finally brought to justice. 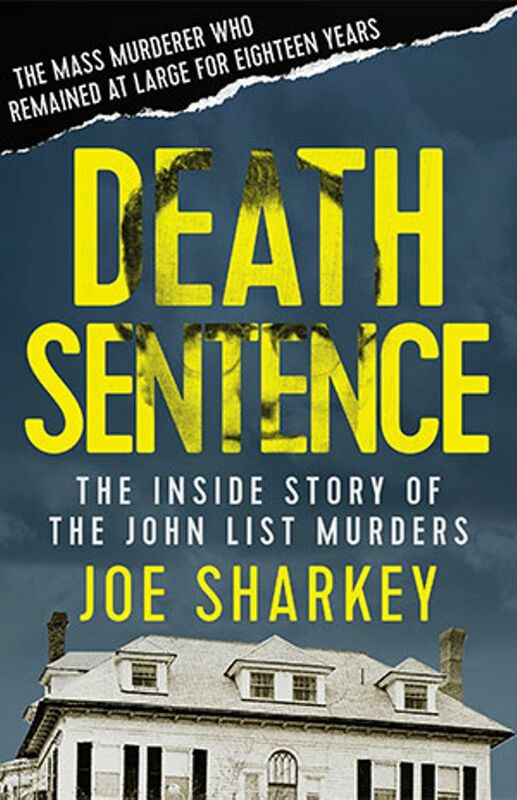 Joe Sharkey’s true crime book, Death Sentence, accounts the life of the List family, the gruesome murders, and the 18-year manhunt that ended thanks to America’s Most Wanted. Read on for an excerpt and then download on Amazon, Barnes & Noble, iTunes, and Open Road Media. In the kitchen, the kettle made a shrill whistle, then pitched down as Helen turned off the flame and took it from the burner. John stood, the Steyr in his right hand. He was calm and alert as he stole out of his office and across the center hall. Helen sat with her coffee at the table on the far side of the kitchen, beside a window where the morning sun streamed in through canary yellow curtains. Silently, John approached from behind, just a bit to the left. As he raised the barrel of the Steyr about 18 inches from his wife’s head, she sensed movement just over her shoulder and turned her head slightly, with her chin tilted up just a bit, the way a woman would to be kissed on the cheek at a party. John fired. The bullet hit her in the jaw and knocked her to the floor with its force. The amount of blood pooling at her head told him it had been quick, final. Without taking aim, John fired several more quick shots that slammed into the wall beyond the table. One bullet ricocheted off a radiator into the next room. The kitchen stank of gunpowder. Helen lay motionless, face down in the blood that spilled across the broad striped pattern of the lineoleum floor. Now he scrambled up the gold-carpeted back stairs to the third floor. For the first time in his life, he didn’t knock before entering his mother’s quarters. Barging in, he found her in the small kitchen holding a plate that had a pat of butter on it, waiting beside the toaster, her silver-gray hair untidy from sleep. Alma looked startled as he moved toward her. “What was that noise downstairs?” she asked. In reply, he raised the gun and shot her once above the left eye at point-blank range. The plate smashed to the floor as the gunshot blew the old woman off her feet. Involuntarily, John squeezed off two more shots that smacked into the wall. Alma was sprawled on the checkerboard tile in the kitchen, quite still. On the counter beside the sink, her toast popped up. He had planned to drag her downstairs, but quickly realized that the task was impossible. She was a large woman, not fat but big-boned and tall. He couldn’t move her that far. But he couldn’t just leave her lying there in the middle of the kitchen. He looked around desperately, then remembered the long plastic carpet runner she kept by the door in the sitting room. That would do it. He brought it beside her and, sweating, unmindful of the blood that drenched her housedress, pushed his mother’s body onto the runner and dragged her to the narrow hallway just off the kitchen. Still struggling, he forced the body into the hall near a cistern that provided an auxiliary water supply for the house, and crammed the bloody runner in behind her. 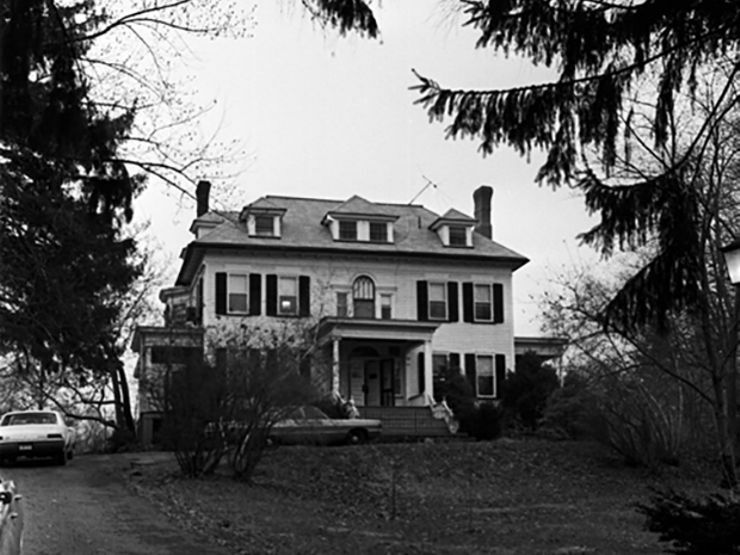 Breeze Knoll: The home of the List family in Westfield, N.J., where five were murdered in 1971. As best he could, he cleaned the floor, wiping up the blood with dampened sections of the Sunday newspaper she had placed in a trim pile on a table. He found an old towel and used that, too. It wasn’t perfect housework. He wasn’t trying to hide anything. It was more of a gesture toward propriety, a respectful nod at the neatness his mother insisted on. Young Fred showed up for work as usual at KMV Associates at 3:00, and employees there, who were genuinely fond of the diligent little boy with the blond hair, noticed that he seemed dismayed when he learned Patty had called in sick. Immediately, Fred phoned home. A secretary, Margaret Koleszar, never forgot what she heard the boy say to his father on the phone. “What happened to Patty?” he demanded. Shortly afterward, John made another unplanned trip, this time to pick up Fred, who told his employers he needed to go home early. As he had with his daughter, John hurried into the house first and grabbed the gun he had left in the corner just behind the kitchen door as he heard his son enter the laundry room just inside the back entrance. Like his sister, the boy never even had time to take his coat off. He died with a single bullet wound to the head. Again the grisly trek was made to the ballroom. The father pulled his son’s body onto the sleeping bag beside Patty. Fred’s head was positioned so it just barely touched his mother. Then there was yet another unexpected change in schedule. It was such a cold day that young John’s soccer team couldn’t practice outside. So the boy also was done for the day earlier than expected. When he happened to see John sauntering up the drive around 4:00, swinging his gym bag as he walked, his father had to scramble to get into position behind the door. Indeed, young John may have heard this scurrying because he didn’t come into the kitchen as unwarily as the others. He saw his murderer coldly level the gun at him. For the boy managed to dodge; the first bullet caught him not in the head, where it was aimed, but in the back. The next shot didn’t kill him either. The boy wouldn’t die! With a pistol in each hand, his father began firing wildly. The brawny teenager tried to crawl across the floor to safety, but it was hopeless. He was on his knees, with his back to his murderer. But the gunman was in control of the situation, firing now with the .22. The room thundered with gunfire. The boy refused to die quickly. Again and again his father fired the .22 until it clicked empty. Finally the boy stopped moving. He lay still on the floor, still wearing his winter gloves. John had not wanted any of them to suffer, and anyone could see that this one had died in agony. But it was done now. He dragged his 15-year-old son along the bloody trail to the ballroom, where he positioned him on the far end of the grim tableau atop the unfurled sleeping bags that John List and his two boys had once shared happily in the woods, on camping trips where they lay to sleep, father and sons, listening to crickets chirp in the summer darkness beyond the fading embers of a campfire. 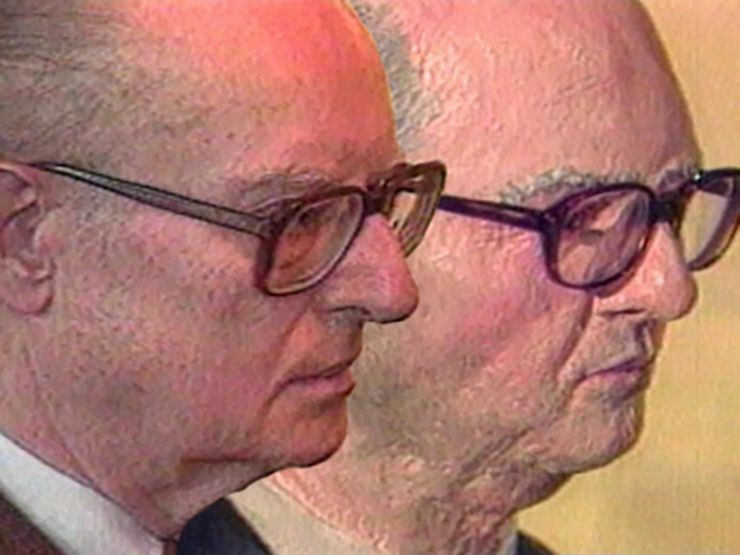 A side by side of John List (left) and the bust designed by America’s Most Wanted (right) that eventually led to his capture in 1989. Almighty, everlasting and most merciful God, Thou who dost summon and take us out of this sinful and corrupt world to Thyself through death that we may not perish by continual sinning, but pass through death to life eternal, help us, we beseech Thee, to know and believe this with our whole heart, to the end that we may rejoice in our departure and at Thy call cheerfully enter into Thine everlasting kingdom; through Jesus Christ, thy Son, our Lord. Amen. Depart in peace, thou ransomed souls, in the name of God the Father Almighty, who created thee; in the name of Jesus Christ, the son of the living God, who redeemed thee; in the name of the Holy Ghost, who sanctified thee. Enter now into Mount Zion, the city of the living God, the heavenly Jerusalem, to the innumerable company of angels, and to the general assembly and Church of the first-born which are written in heaven. The Lord preserve thy going out and thy coming in from this time forth and forevermore. Amen. Want to keep reading? Download Death Sentence on Amazon, Barnes & Noble, iTunes, and Open Road Media. For more true crime books, sign up for The Lineup’s newsletter, and get our recommended reads delivered straight to your inbox.